Tipard DVD to AVI Converter is a professional DVD to AVI converting software, which is designed to convert DVD to AVI, MPG, 3GP, MP4, WMV, MOV, etc with excellent output quality and no source limitations, and professional editing functions are available for you. Why Choose Tipard DVD to AVI Converter? The best DVD to AVI Converter to convert any DVD to AVI formats. 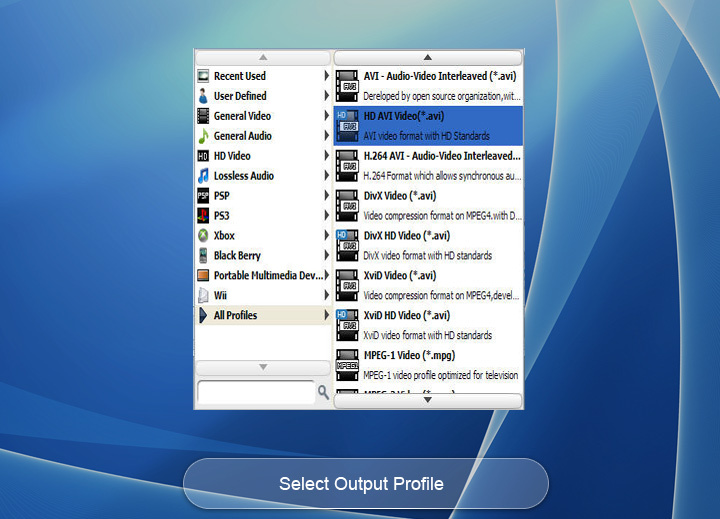 Besides, this converter can extract audio from DVD to MP4, M4A, MAV, etc. With this almighty converter, users are also allowed to merge DVD title/chapters, rename, preview and snapshot. Tipard DVD to AVI Converter provides you with the functions of ripping and converting DVDs to HD AVI and common AVI formats. Besides, this DVD to AVI Converter rips DVD to HD video formats like HD TS and HD MPG and to common video formats like H.264/MPEG-4 AVC, H.264, MPEG-1, MPEG-2, DivX, XviD, MPG, 3GP, MP4, WMV, MOV, FLV for playback on media players. Encouragingly, multi-Core CPU and CUDA technology maximizes the conversion speed to get the greatest performance. Another useful feature of Tipard DVD to AVI Converter is that it can let you create your video by editing function. It allows you trim any segment of DVD by setting the Start time and End Time, remove back bars in the DVD movie, set crop area size, make a special watermark for your video(text and image), merge a batch of video files into one AVI file, and adjust video effects including Brightness, Contrast, Saturation. Also you can take a snapshot of the scene displayed in the preview window and saves it as BMP, PNG or JPEG format. 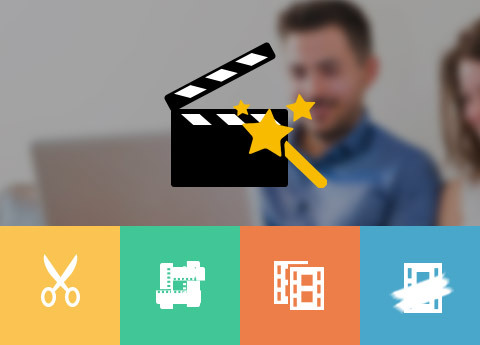 As a totally video to AVI software, AVI Converter not merely helps to convert videos in other formats to AVI, but offers your powerful editing functions. You can trim the video, clip video to retain what you want, merge multiple video files into a long AVI video, set crop area size, choose text or picture as the watermark of your video, preview the movie before converting, snapshot the images in preview, etc. Also you can personalize your video through adjusting video effects, such as brightness, contrast, saturation. You are able to convert one source file to different output video formats with only one conversion to save your time. The user-friendly interface helps you find anything you want in seconds, so it is suitable for beginner and experienced users. Source size is shown on the color bar, which provides a measure for the target size. DVD to AVI converter enables you to preview the original videos and output file with a built-in media player at the same time. Quart:The output quality is super-high. This best DVD to audio function helps me a lot to convert DVD to various audio formats, esp. MP3 formats. Abbot: Tipard DVD to AVI Converter aims to rip DVD to AVI and other popular video format, so that you can watch your favorite DVD movies on various platforms in a variety of formats. 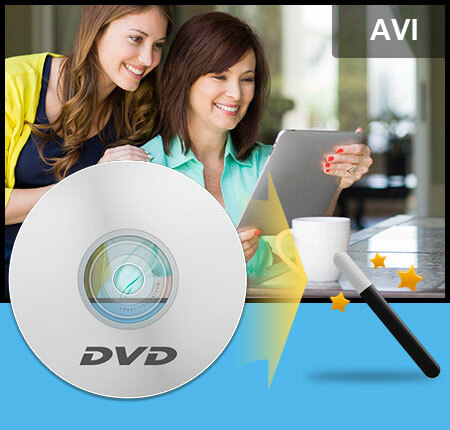 Moreover, DVD to AVI Converter offers you multiple editing functions to change your video. Helena: The useful DVD to AVI Converter will be helpful for those who want to convert DVD to AVI or other formats without any problems. Unexpectedly, this powerful DVD to AVI Converter provides you outstanding output quality and fast conversion speed while it takes less time. Convert DVD/video to any formats, transfer files among IOS devices and PC, burn videos to DVD.